It was founded by Raja Abhay Chand, the king of ruling Katoch dynasty of Kangra in 1748 A.D. There is a tomb of Nawab Gulam Mohammed of Rampur. There are five old temples at Tira and Sujanpur and Bara-Dari (Court Room) of Raja Sansar Chand at Sujanpur. The temple dedicated to Gauri Shankar was built during the time of Raja Sansar Chand in 1793 A.D. in the sacred memory of his mother. The temple of Murli Manohar and Narbadeshwar (built by Pransani Devi, The Suketi Rani of Raja Sansar Chand) were also built in this time in 1790 and 1823 A.D. respectively. Other temples of repute are the Mahadev temple, Devi and Vyasheshwar dedicated to Rishi Vyas) temple. This territory was first visited by a German, named ‘Traveck’ and then by a British traveller named ‘Moorcraft’. Sujanpur place is suitable for adventure sports like Paragliding, Angling, Rafting and trekking in and around this area. In addition to these, the place is also famous for the Chaugan (ground) which is the biggest one in the state. A famous 4 days State Level Holi Fair is organised in this ground during Holi festival. The prestigious Sainik School Sujanpur Tira is also situated at this place. The institution has a rare distinction of the getting highest selections in the Indian Defense Services. In Princely days, it is used to be the headquarters of the Nadaun Jagir, Maharaja Sansar Chand of Kangra used to hold his court during summer for a number of year during his reign. Nadaun is also Known for Bilkleshwar Mahadev temple which is said to be have been founded by the Pandavs. Nadaun is famous for its beautiful people and a Gurudwara founded in A.D. 1929. Nadaun was a prominent place, during the reign of Sansar Chand II. There was a saying current in Kangra hill “Who that comes to Nadaun will not go away”. This is explained by the fact that there were two hundred singing and dancing girls at Nadaun and whoever come under the spell of these enchantresses never thought of leaving. Thus writes Ghulam Mohiuddin in Tarikh-i Punjab. It is peaceful town with a good Rest House, an Old Palace and Shiva temple. The Palace Building at Amtar still houses some of the paintings of that time. Jawalajee temple is also not very far and can be visited from here. This place provides excellent facilities for Mahaseer fishing in the Beas River flowing close by. Another attraction is the river rafting from this place to Dehra and further. There are beautiful camping sites for anglers. The Amtar Cricket Stadium (established by Himchal Pradesh Cricket Association) is another place worth visit. Atal Bihari Vajpayee Cricket Stadium established by the HPCA (Himachal Pradesh Cricket Association) situated on the bank of the Beas River is also a beautiful place to visit. Sidh Baba Balak Nath Temple Deothsidh is situated on the border of Bilaspur (70 Kms) and Hamirpur (45 Kms) district and is well connected by roads from all sides. During Navratras, there is a continuous stream of visitors to receive blessings of the Babaji. The festival of Chaitra Mela Shri Sidh Baba Balak Nath Ji is celebrated every year from 14 March to 13 April. Temple Trust makes arrangements for stay and provides water, toilets and other essential services. Additional accommodation and installation of rope way to Shah – Talai is expected to attract more tourists. This temple is one of the biggest revenue earning institutions of the Himachal State and is visited by nearly 45 lakhs of devotees across the country every year. Sunday is considered auspicious day of Babaji and consequently attracts huge devotees on this day. For more information. kindly contact Temple Officer: +91+1972-286354 or Shri Sidh Baba Balak Nath Deothsidh. It is located in district Hamirpur, 6 KM away from Dera parol on the bank of Kunah Khad is the place of Markandya Rishi. 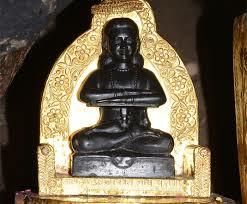 According to Puranas, it is there that the idol of Rishi Markandya was installed. A Natural water spring is also located there. The fair of markanda is also famous. It is located on Dharamshala-Shimla road at a distance of 15 KMs. from Hamirpur towards Bilaspur. The place is famous for Radha Swami Satsang and one of the largest charitable hospital of the state have been constructed by the same religious trust. It is situated on Hamirpur- Jahu road at a distance of 9 Kilometers from Hamirpur. Here 400 years old Lord Shiva temple is situated. People from different places visit this holy place to seek the blessing of the Lord Shiva. A famous Cattle Fair is organized at Gasota every year on first Monday of the Jayshtha Month (usually in mid May) every year and people from nearby areas and neighboring states visit this place to have glimpse of Shivlinga and for cattle trading. This is very beautiful place. Natural water stream flow besides the temples which adds to its beauty. A cow shed for Gaushala and Pandu Sarovar has been built in the temple complex to facilitate visitors. A very famous Shani Dev Temple is situated at Village Sarlin (Lambloo) at a distance of 10 Kilometers from Hamirpur. People from different places come to visit the Shani temple and for Tula Daan. Huge rush flows to this place on the weekends and particularly on the Jayshtha Shanivaar. the temple is managed by the Temple Trust established under HP Hindu Public Religious Institutions and Charitable Endowment Act. Located at an altitude of approximately 786 meters above sea level, Hamirpur city is a quiet and picturesque place. Established in the name of King Hamir Chand, this city has a glorious history. Many people in this area have achieved a distinction in the areas of education, defense services, sports, administrative services and technology. In the past few years, Hamirpur city has been established as an Education hub in the state. Excellent educational institutions like Himachal Pradesh Technical University, Dr. Radha Krishnan Government Medical College, National Institute of Technology, Institute of Hotel Management, College of Horticulture and Forestry, Government Postgraduate College, Polytechnic and Schools are established here. Apart from this, some private educational institutions established here are also playing an excellent role in the field of education. All these institutions are located within 5 to 8 kilometers from the Hamirpur city. Most of the people from this region are working in defense services, due to which, Directorate of Sainik Welfare and the office of Managing Director of Himachal Pradesh Ex-Servicemen Corporation are also located in Hamirpur city.